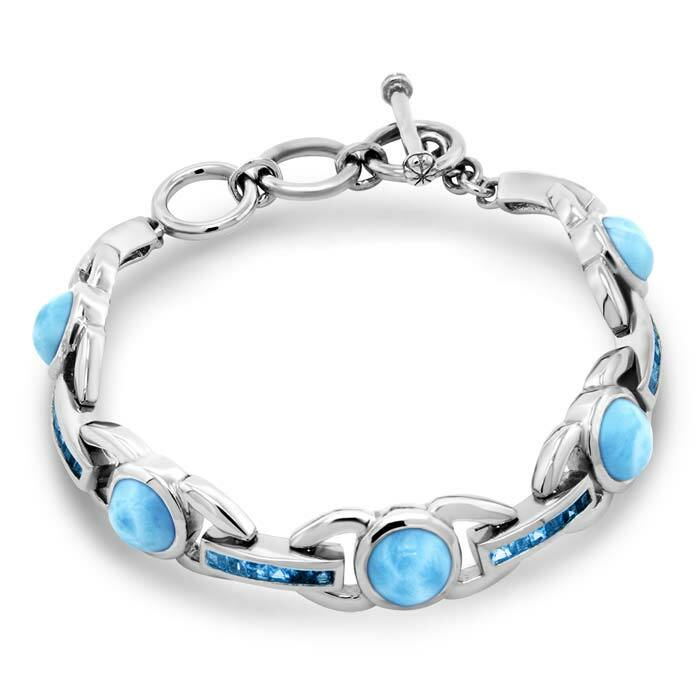 Stunning larimar gemstones alternate with sparkling channel-set blue topaz in our exquisite Aqua Collection bracelet. You’ll establish your own signature look with magnificent piece. You’ll never want to take it off! 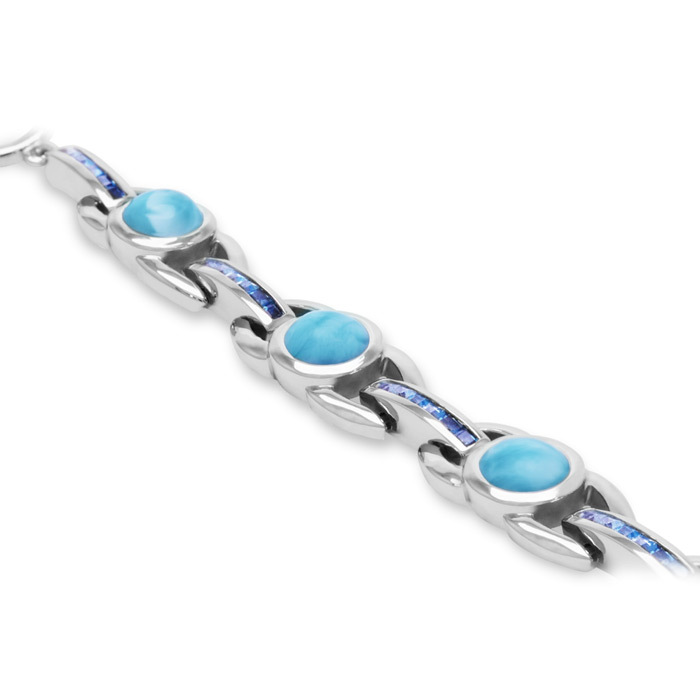 Product Details: 8mm larimar gemstones with graduated blue topaz and sterling silver. 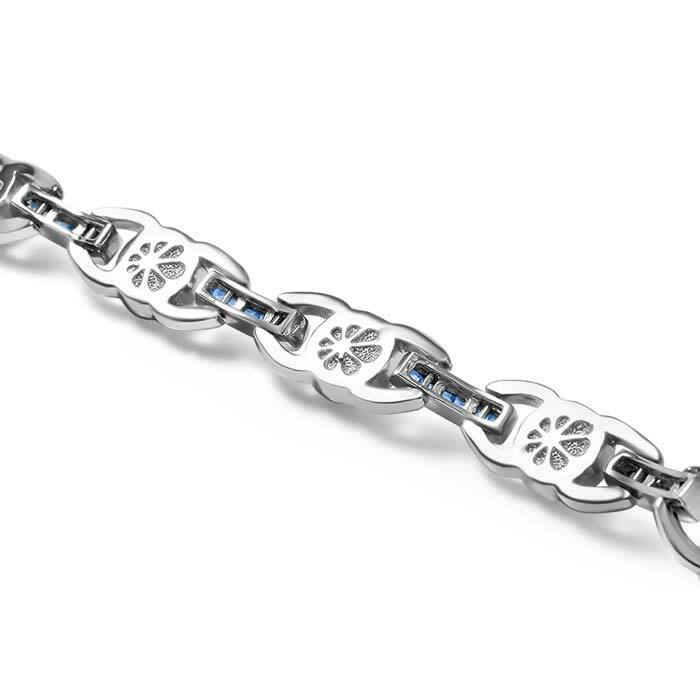 The bracelet can adjust from 6 1/2" to 7 1/2".